Hamad International Airport (HIA) has announced the success of the first phase of its Smart Airport programme, which will enable more than 25 per cent of Qatar Airways’ passengers to use self-service check-in and bag-drop facilities. The self-service kiosks are spread across the departures check-in hall and enable passengers to check-in, print boarding passes and bag tags; tag their bags; and drop them at the bag drop before proceeding to border control. A mobile Automated Visa Document Check, which is the first of its kind in any major airport worldwide, has also been implemented which enables ground services agents to check a passenger’s visa documentation before continuing their journey. 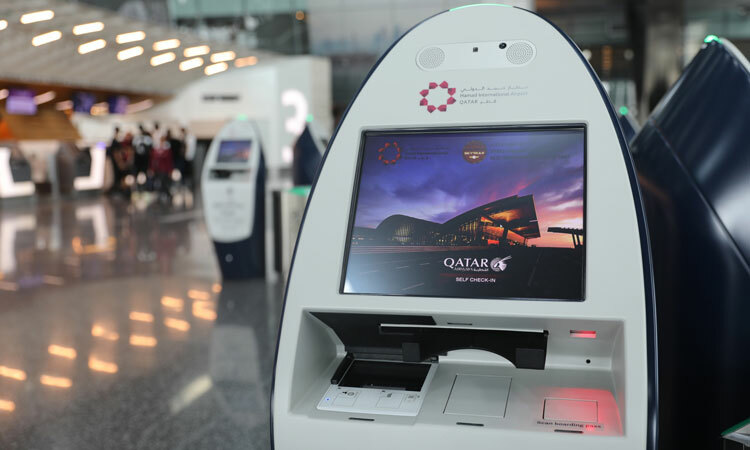 Although the self-service kiosks and bag drop facilities are currently exclusive to Qatar Airways passengers, the plan is to extend these services to foreign airline passengers in the future. 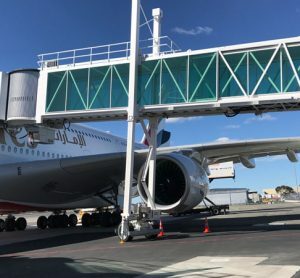 It is estimated that the processing would eventually be up to 40 per cent faster, vastly improving customer experience and allowing more passengers to be processed without major capital investments for physical expansion of check-in facilities. High quality and homogeneity were key criteria, resulting in a unique and luxurious design of the new self-service facilities, which have been fully available to the passengers since the 15th October 2018. Engr. 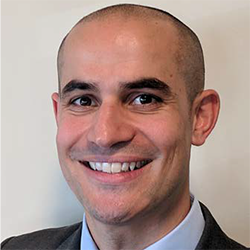 Badr Mohammed Al Meer, commented: “In line with our vision and strategic plan, we continue to invest in customer-centric innovative technology to provide fast, seamless and enjoyable travel experience and to be the airport of choice for our discerning customers”. HIA’s Smart Airport programme was inaugurated by Qatar’s Prime Minister H.E. Sheikh Abdullah bin Nasser bin Khalifa Al-Thani, during a visit to HIA in April 2016. The key benefits the self-service programme delivers for airlines, airports and passengers include increased check-in and bag drop capacity to deal with the forecasted airport and Qatar Airways growth and enhanced passenger experience by offering choices/options for check-in and bag drop, i.e. either traditional check-in counters or self-service. 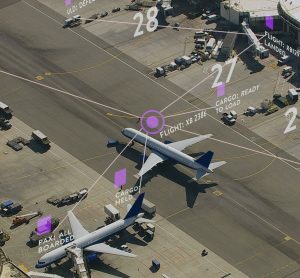 It also empowers passengers to ‘take control’ of the check-in and bag drop activities which reduces travel stress associated with queuing and long wait times. It also reduces check-in, bag drop and visa document verification process time, enhancing both the customer experience and operational efficiency. Experience has shown that self-service is faster than traditional methods, as a passenger can typically process one bag in less than 50 seconds. 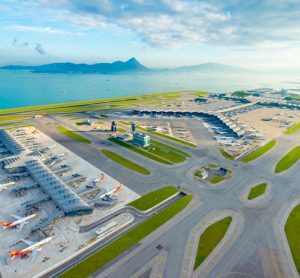 HIA’s continued efforts and investment in cutting-edge technology through its Smart Airport program are bearing fruit as demonstrated by its awards and accolades at the Skytrax World Airport Awards 2018. HIA ranked the fifth ‘Best Airport in the World’, moving up one place from last year and was also awarded the title of ‘Best Airport in the Middle East’ for the fourth year in a row. The awards recognise HIA’s commitment to the highest environmental standards and to responsible business practices as well as innovative facilities, five-star customer service and state-of-the-art terminal. HIA is currently a candidate for the “Best Airport in the World” for Skytrax World Airport Awards 2019. Passengers who have experienced HIA’s five star service can vote for the airport, voting links are available on its social media profiles and its official website.